Last Wednesday was the first Amazon Web Services User Group Melbourne Meetup. Simone Brunozzi (AWS Asia Pacific Technology Evangelist) kicked the night off with an informal presentation covering EC2 Security Groups, ElastiCache, SQS, and several other questions from the 35-person audience. 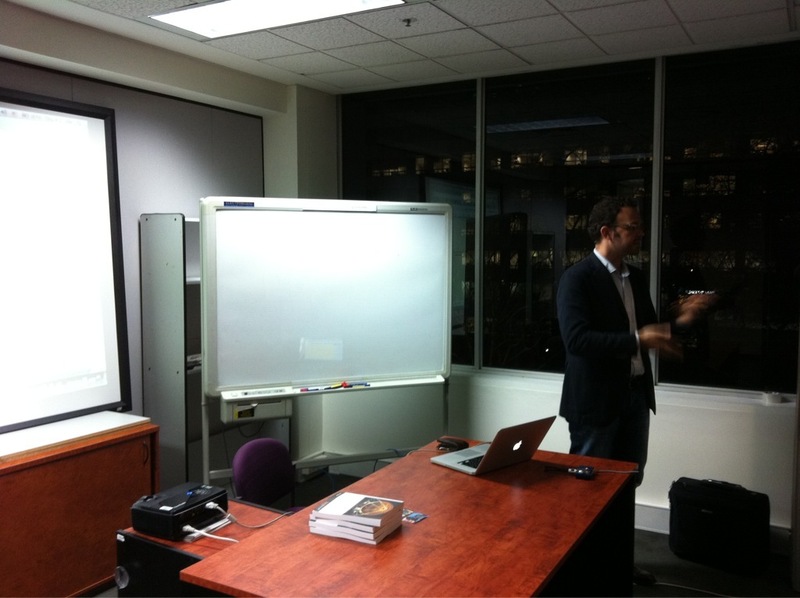 Adam and Joseph from Melbourne-based IndexMedia gave a brief presentation about how they use AWS for their in-image advertising tool. Very cool! Rob Linton gave away several copies of his new book: Amazon Web Services: Migrating Your .NET Enterprise Application. Thank you to the speakers, the sponsor (SysTalk), and to everyone that attended. It was great to see a strong turn out for the first AWS meetup.